Ever since winning at Ibrox manager Ivan Golac had tried to concentrate the player's minds on repeating the dose at Firhill, saying that it was no good winning at ibrox only to lose against Partick Ttiistle. Unfortunately that was exactly how it turned out with a very disappointing first half performance, albeit against the driving wind and rain, at the root of this defeat. 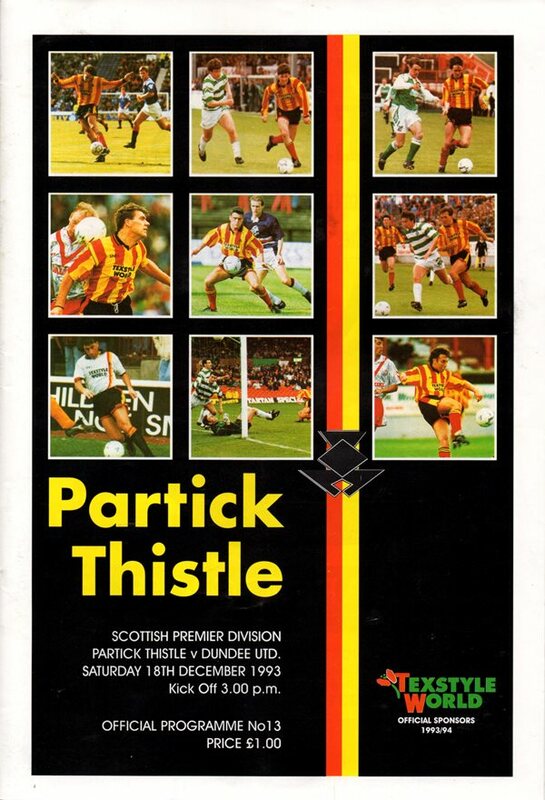 Thistle took the more direct route to goal during that first period with Guido van de Kamp punching away a deflected Charnley shot and then foiling Gibson after his clearance had been sliced to the feet of the former Don who was making his Jags debut. There was a further warning for United when Alex Taylor sent a dipping volley over from 25 yards as the home side dominated the midfield. Eventually, Thistle did strike. 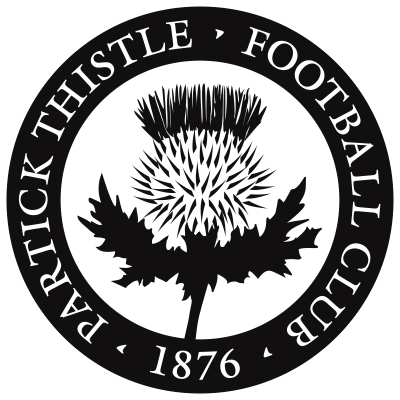 Freddy van der Hoorn got his head to a Cameron cross from the right, but only succeeded in heading the ball straight up in the air and as it fell to the ground, Albert Craig, Thistle's leading scorer, hit a half volley low past Guido van de Kamp from 8 yards. Craig then had Guido van de Kamp at full stretch to keep out a curling shot, but as the interval approached United at last made some headway in attack when Craig Brewster fired in a 20 yarder which flew narrowly over. The second half didn't start well for United. First Guido van de Kamp made a tremendous save from Gibson who had been afforded too much time and space to shoot from 12 yards and then the Tangerines lost the services of Craig Brewster when Charnley's boot accidentally caught the United striker in the face causing a deep facial wound. Christian Dailly was his replacement and the United substitute might have grabbed a hat-trick as United, now with the advantage of the elements, dominated the rest of the game. Gordan Petric led the charge on the Partick goal with a dipping 35 yard shot which went only about a foot over. Christian Dailly then beat Jamieson out on the right, but fell after cutting in on goal. As Thistle clung onto their slender lead Christian Dailly got on the end of a Freddy van der Hoorn clearance, but lofted his shot over. Jamieson's late intervention to divert Christian's shot at the near post as he met a Paddy Connolly cross prevented United getting an equatiser their second half display merited.